WOODSTOCK, Georgia -- Former Atlanta Braves player Otis Nixon, who went missing last weekend, has been located, police said Monday. Nixon has been found and he's "safe," said Brittany Duncan, a spokeswoman for police in Woodstock, a suburb northwest of Atlanta. She had no other details about his condition, where he was found or the circumstances. Nixon, 58, had been last seen around 10 a.m. Saturday leaving his home in Woodstock, Georgia, about 30 miles (50 kilometers) northwest of downtown Atlanta, police said. He left in a gray Range Rover and was on his way to a golf course where he had a tee time but never arrived, police said. Nixon's girlfriend, who lives with him, had reported him missing, Duncan said. Nixon was an outfielder for the Braves. 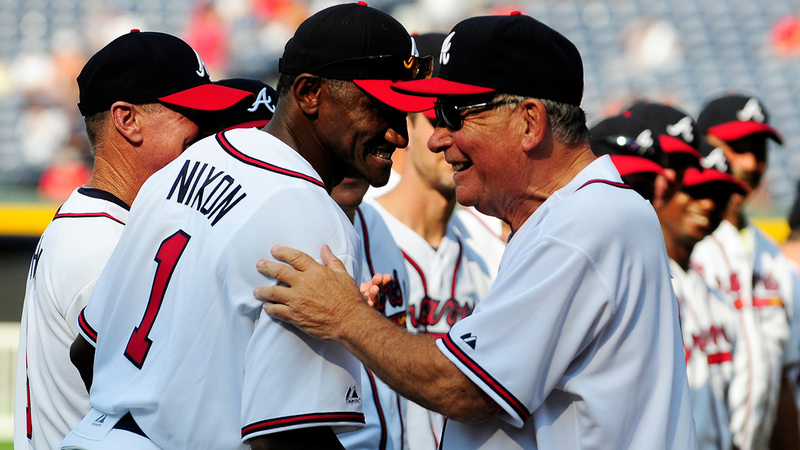 He played for nine teams in 17 major league seasons, with his best years coming in Atlanta. He had 1,379 hits and 620 stolen bases.